We are already in April with hopes of Spring sunshine on it's way. Mother's Day is next month which means we still have some time to think of that perfect gift to let the moms in our lives know how much we appreciate them. You could give them something elegant that cleanses their home with Lampe Berger! There are so many great lamps to choose from to suit any interior decor. Different sizes, styles and colours, you will definitely find the one that says "for mom". The Timeless collection brings elegance to any room with beautiful lamps like the Athena or Amphore lamps. I think these particular lamps would look great in a home office or dining room. If you are looking for something more modern, the Trendies collection may have what you need like the Goutte Rouge or Sweet Bubble smoky grey lamps. There are so many to choose from in different styles, sizes and price ranges. Take your time and look around for your next gem! Of course any Lampe Berger isn't complete with a wonderful fragrance to go with the beautiful lamp. I gifted my mother with a Lampe Berger lamp recently, I know she loves scented things plus the lamps are really pretty. She has been enjoying it to help cleanse the air and relax. 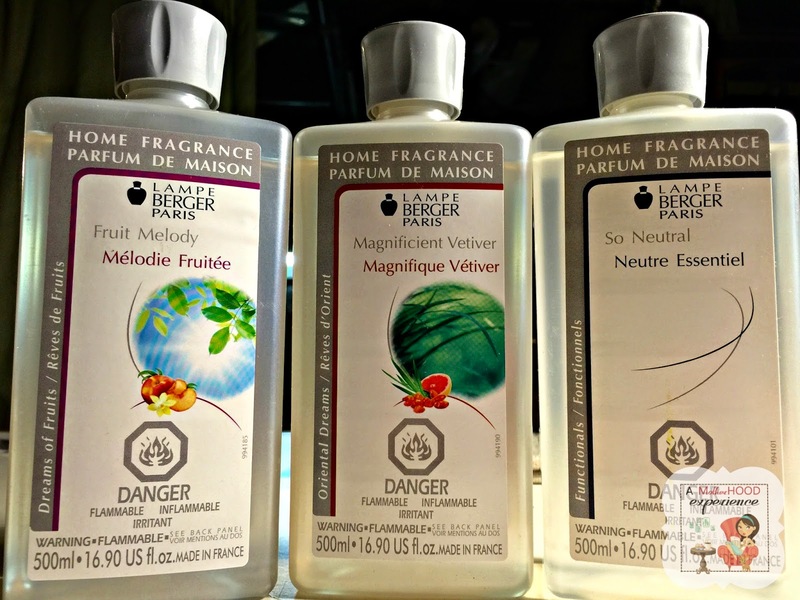 Three fragrances we recommend you try with your Lampe Berger lamp are - Fruit Melody, Magnificent Vetiver and for those who don't like as much scent but love the cleanliness Lampe Berger brings to any room, So Neutral is a great one to try. For a spring feeling atmosphere, Fruit Melody is a new favourite. It reminds me so much of spring with its mix of rose and jasmine petals, sweet peach, sandalwood and vanilla. Fragrances come in 180ml, 500ml and 1L bottles. You can find the entire collection of Lampe Berger lamps and fragrances by visiting the official Lampe Berger website! Get the latest news and updates by liking the Lampe Berger Facebook page and following Lampe Berger on twitter! Posted on behalf of Lampe Berger Canada as part of the Lampe Berger Blogger Ambassador program. Complimentary product is received as a thank you for participating. Opinions and comments on this blog are those of the author.